What looks more like a giant egg or Kurt Russell’s character’s spaceship in Guardians of the Galaxy Vol. 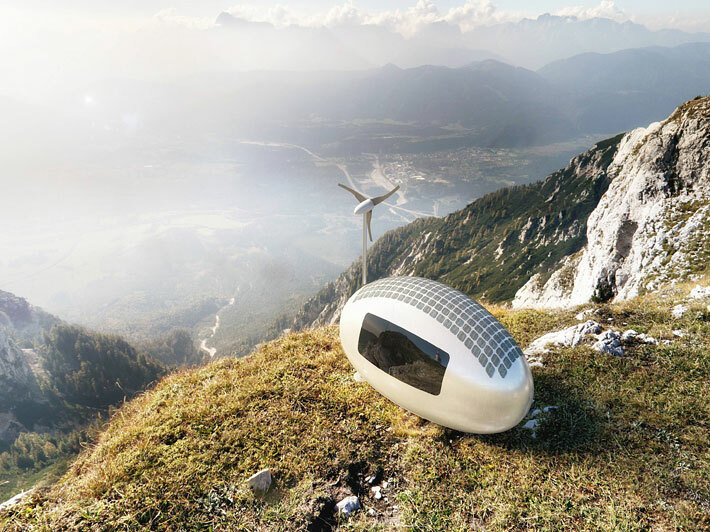 2 is actually an off-grid pod capable of self-sustainable and tiny living. 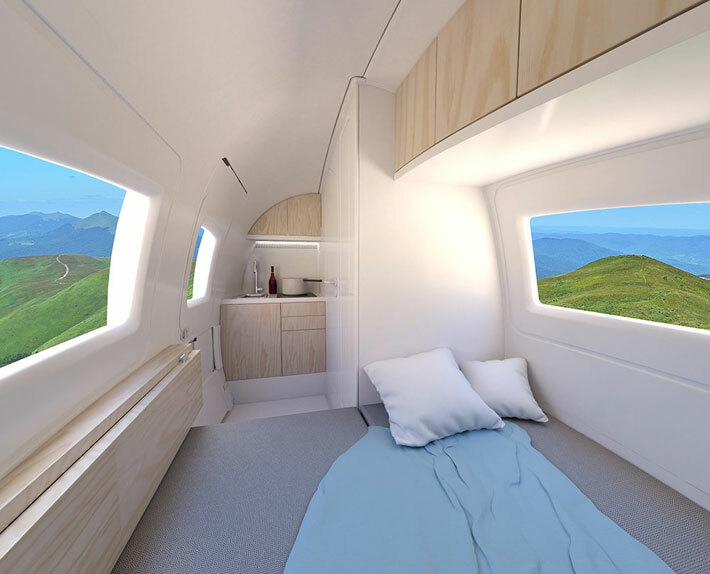 The Ecocapsule, designed in the Slovak Republic, can also be ordered online and shipped to ports in the U.S., Australia, New Zealand, Norway and Europe. The Ecocapsule is a 15 foot long, off-grid pod that can be towed with a vehicle. The Ecocapsule is an oval, smart house powered solely by wind and solar energy. 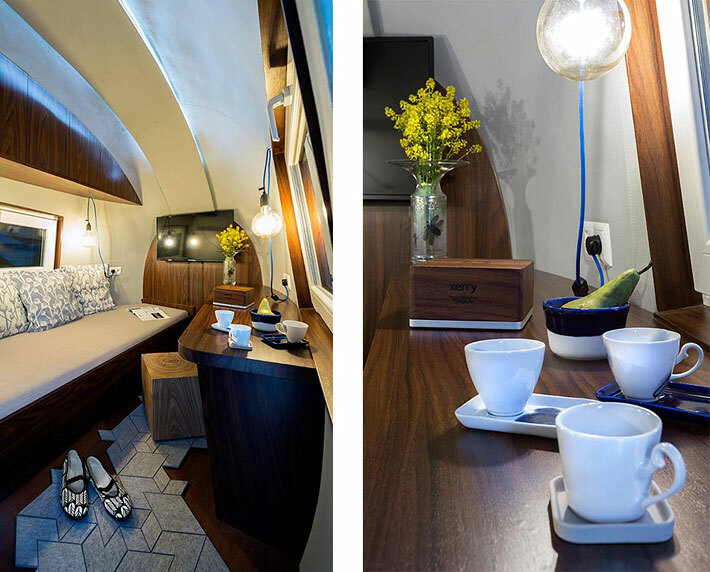 It’s not a full house, but more of a mobile hotel room that can be placed in various locations. 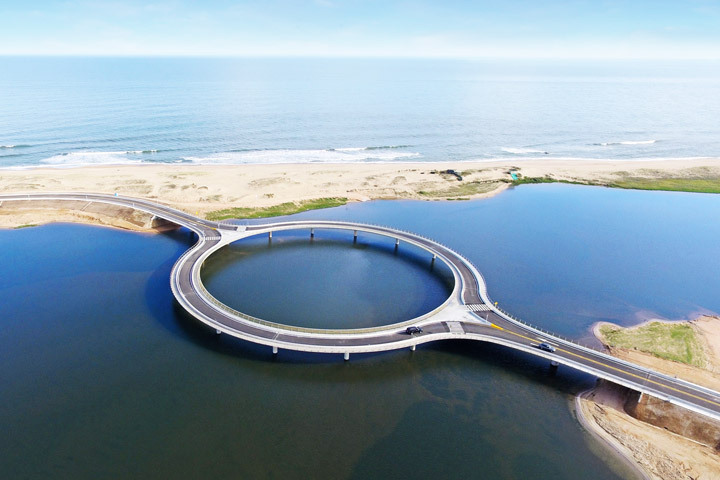 It can be placed in the middle of a field, in the mountains, by a lake or on top of a skyscraper roof. 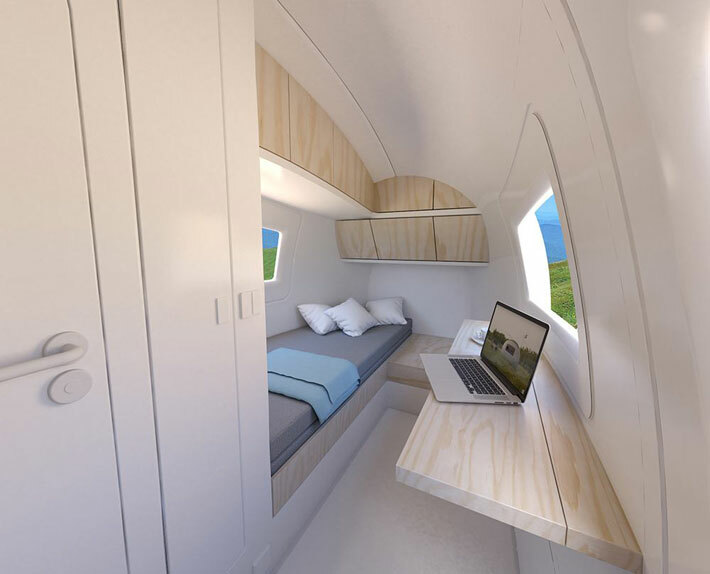 The capsule is meant to be used as a pop-up hotel option or futuristic country cottage for individuals and businesses. The capsule has removable wheels and can be towed by a vehicle or lifted by hooks via a helicopter or crane. The capsule can be placed in a variety of locations and climates. The capsule has a 600-watt solar system with high-efficiency solar cells. It also has a wind turbine that can deliver another 750 watts and be folded up when not in use or while in transport. The Ecocapsule also collects rainwater into a tank which is then filtered for use in the bathroom and kitchenette. The capsule can also be used to charge electric vehicles. 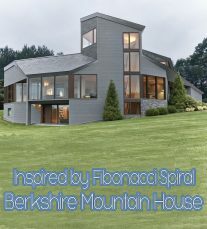 Its roof is equipped with solar cells and a wind turbine, and the pod also has a rechargeable battery that can last at least four days should the renewable sources fail. 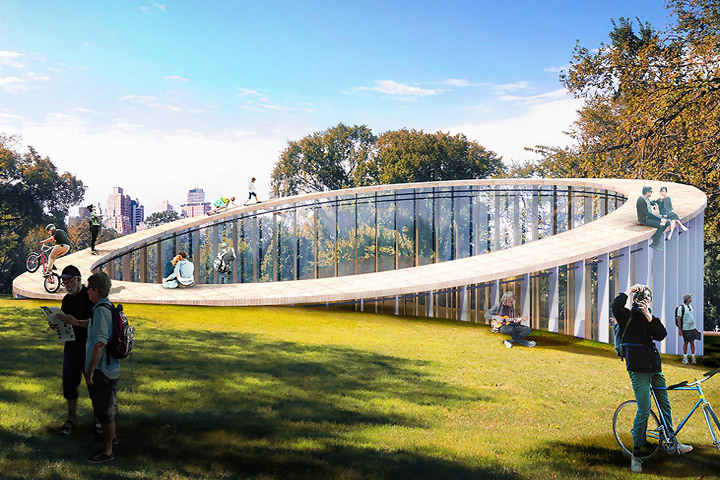 The egg-like shape is designed to minimize heat loss. The unit contains lightweight furniture made from honeycomb panels with a wood veneer finish. There is a desk, cabinets, folding bed with mattress, clothing racks, a kitchenette, and a baggage cabinet. A separate wall hides a waterless toilet. The floors are heated and an optional AC unit is available. The little house also has a smart home system that is integrated with a smartphone application. 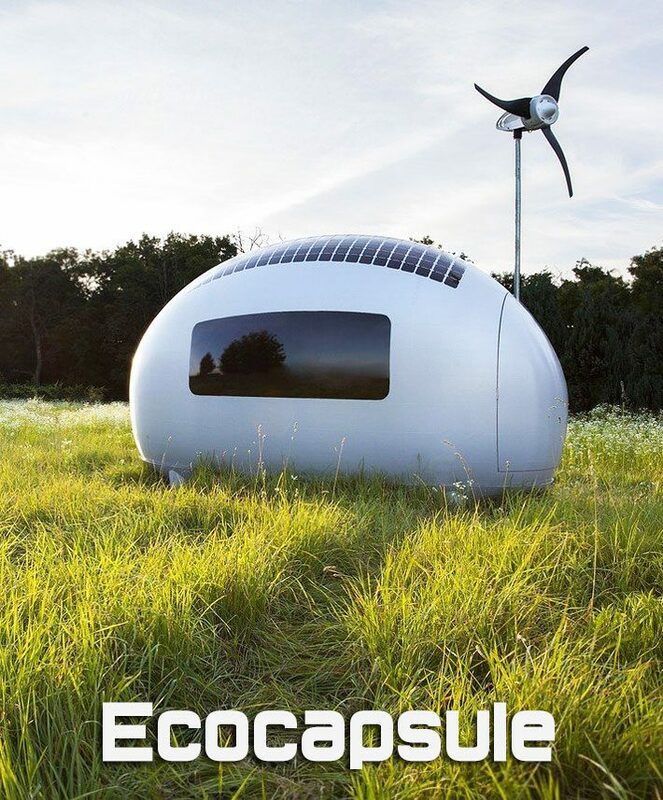 While the Ecocapsule is super cool, a real vision into the future, and can be easily ordered online, it is not cheap. The cost is €79,900 or $98,273 not including VAT. Shipping costs to New York and Houston are an additional $3,000 and each unit fits into a 40-foot shipping container. With increased production, the company does see the cost of the Ecocapsule going down in the future.